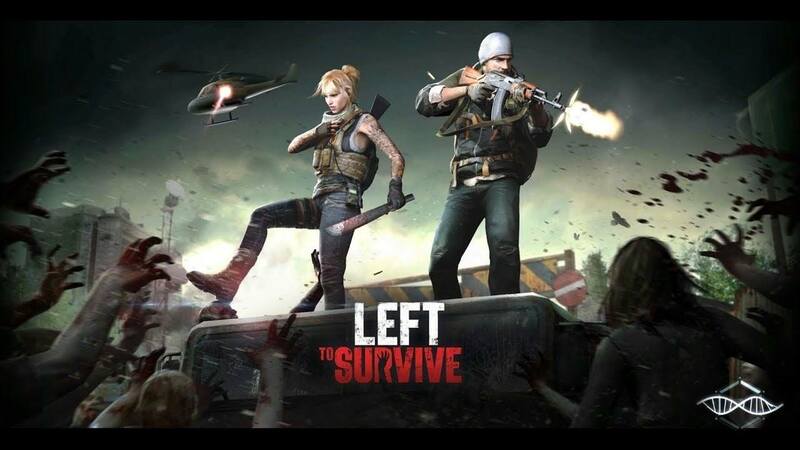 Left To Survive has everything that you expect from a post-apocalyptic world: Zombie herds, malicious survivors, resources to collect, and dozens of weapons. To survive, you must increase your combat power and expand your base. The game uses multiple mechanics, all of which work in a different way. In other words, it takes time for you to learn and start using all of them efficiently. 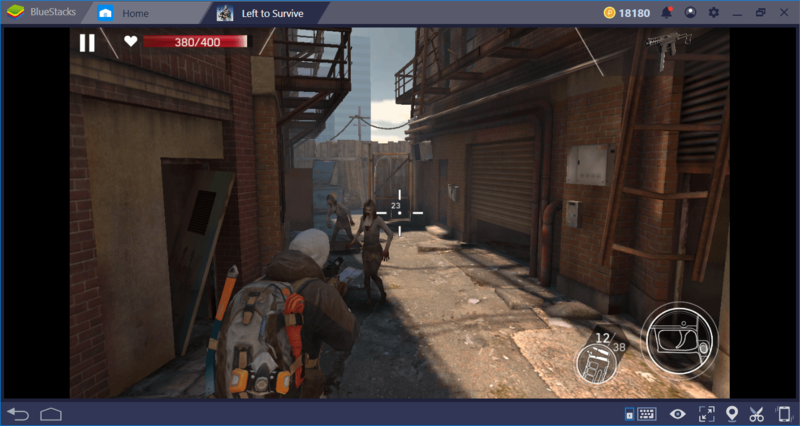 However, by reading this guide we prepared for you, you can make a quick start to the game and survive longer. Don’t let the zombies bite you! Or, simply shoot the red barrel. 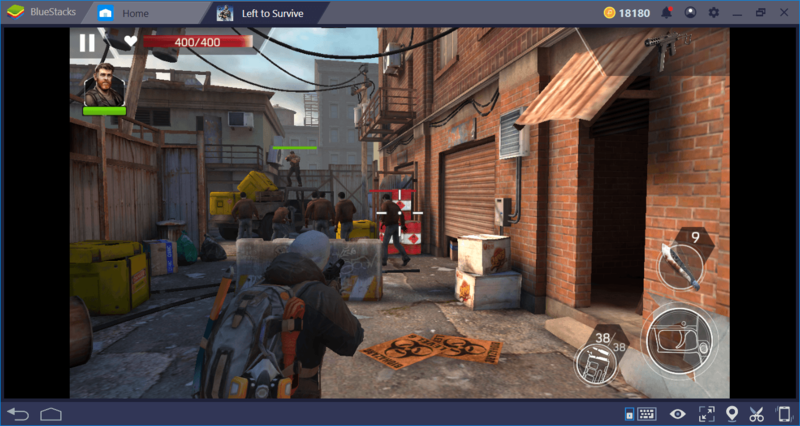 In Left To Survive’s PvE missions, you will fight against a growing number of zombies. Sometimes, 10 zombies will appear on the screen at the same time – trying to shoot them all will cause you to spend too much ammo. However, you can easily solve this problem by shooting at the red barrels that can be seen on almost every level. Did you see the red barrels? You can be sure to see them on every level, you just need to be on the lookout. Firing at these barrels causes them to explode and kill all the zombies nearby. In other words, you can kill 10 zombies with a single bullet. 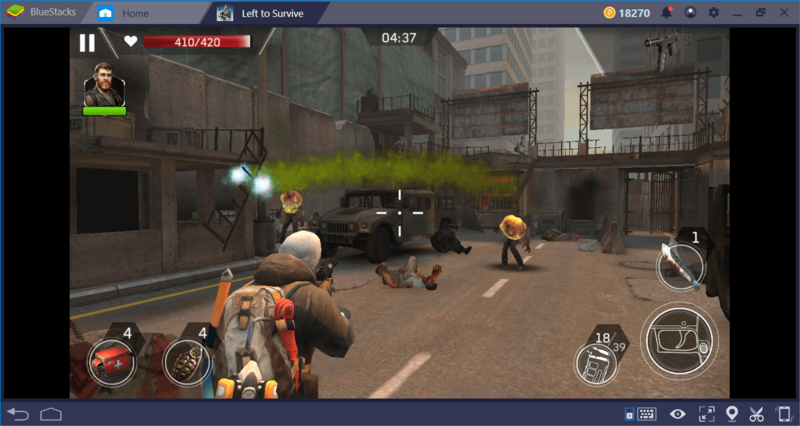 And by doing this, you can also achieve “multi-kill” achievement and increase the reward at the end of the mission. 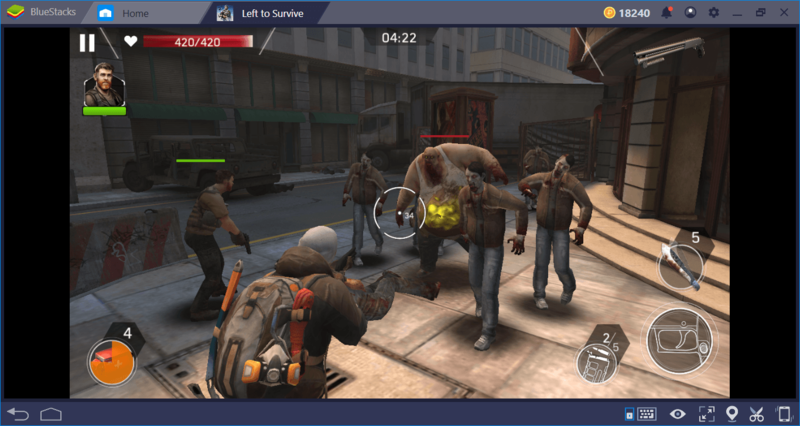 Left To Survive may be using arcade mechanics, but combat is not that easy. Each weapon in the game must be used in a different way. However, no matter which weapon category you choose, there is a very important rule to remember: Do not press the trigger continuously. If you don’t lift your finger from the fire button, your bullets will end very quickly and you will have to reload before causing any real damage. This is especially true for two weapon categories: Assault Rifle and Shotgun. Assault rifles are tricky to shoot: Due to recoil, the barrel is constantly rising upwards. So if you fire continuously, you start shooting in the “air” after the third round. You need to be “patient” while using an assault rifle: press the trigger, wait for the recoil effect to pass, then fire again. In this way, you can continue shooting without missing the target. When using shotguns, you have to wait for zombies to come close. This weapon gives high damage and can kill multiple zombies at the same time, but is completely useless for distant targets. If you’re using a shotgun, wait until the zombies build up in front of you, and then fire. Exploder. This big guy explodes if it gets close to you, causing a poisonous cloud to form. A single exploder can kill you even if your health is full. But don’t worry, we have two good news. First, shoot at the green thing in its belly to kill it quickly. Second, if you kill him while he is away, he will still explode and kill other zombies around him. So you can use the exploder zombie as a “red barrel”. Spitter. This adorable cutie pie prefers to attack from a distance – you will not see him in front of your face. 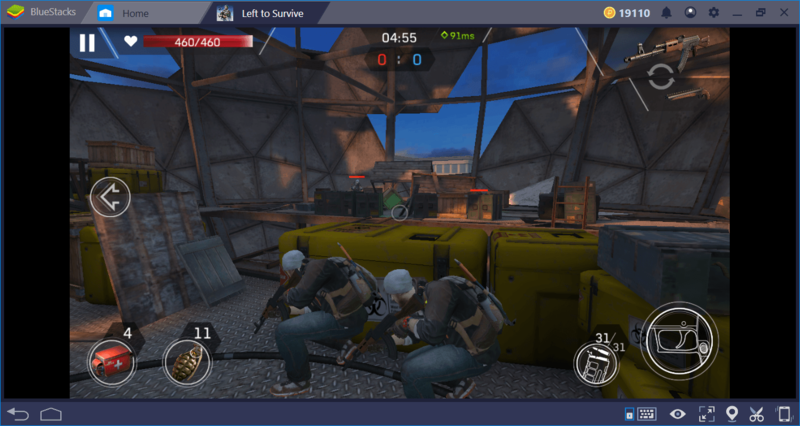 Spitters are like snipers: If you don’t kill them right away, they will deplete your health after attacking 4 or 5 times. They die quite easy but you should always have a ranged weapon in your inventory due to the possibility of encountering a spitter. It’s hard to kill them with the shotgun: They don’t come near you. In another guide, we talked about how to upgrade your weapons. Let’s do a quick recap: Each weapon has five different base stats and you can upgrade them all. But which is more important? Which stat should you improve first? Our advice is to always use your resources to upgrade the “reload time”. 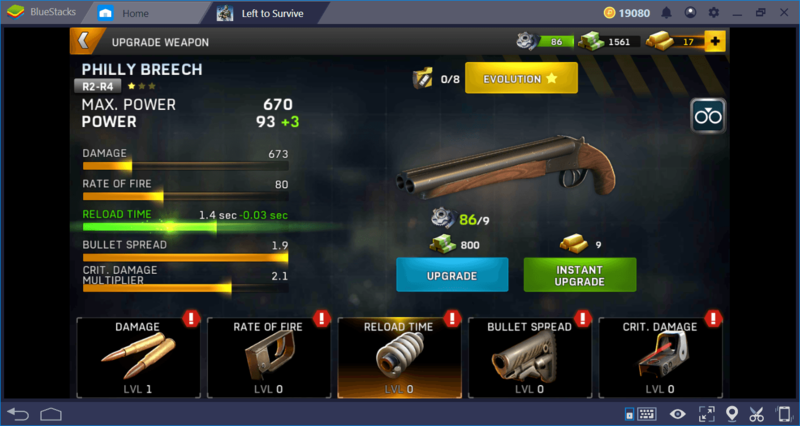 No matter what category it is, each weapon has a reload time, and it can be quite long, especially for shotguns. If you upgrade this stat, you can continue to fire on the battlefield without any real interruption. Secondly, we recommend that you focus on the “rate of fire”. This stat allows you to shoot more quickly – when used with the reload upgrade, you can turn into a real combat machine. “Crit damage” is the least useful upgrade, it is almost ineffective during combat. You may find it difficult to shoot other players in PvP missions: Experienced players always stay behind a cover and come out only to shoot at you. If you do not act quickly, you cannot find the opportunity to attack. Yet, even most professional players will eventually switch between covers. The thing to know here is that players are completely vulnerable as they move from one cover to another – that includes you. So, if you shoot at your rivals right at this moment, they will not be able to respond at all. This is actually a fairly short period of time, it doesn’t take more than a few seconds to switch from one cover to another. If you were using a mobile control scheme, it would be very unlikely that you would be able to land a shot in that time frame. 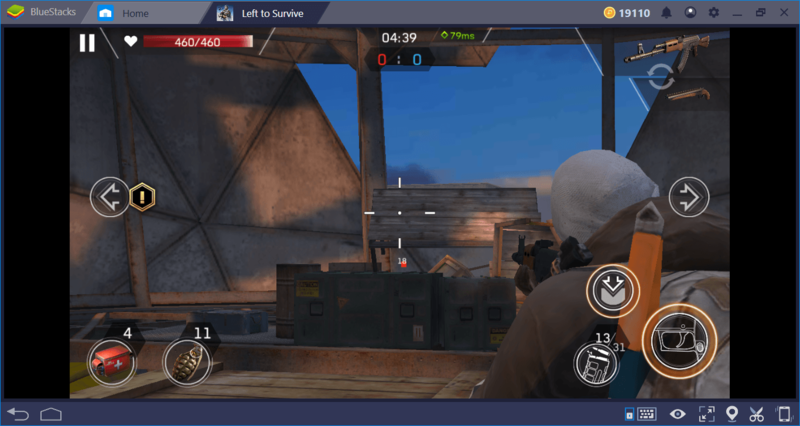 However, you are using BlueStacks: Because of the keyboard and mouse support, you can even land a headshot in this small window of opportunity. If you have any other tips you’d like to share with us, don’t forget to leave a comment. 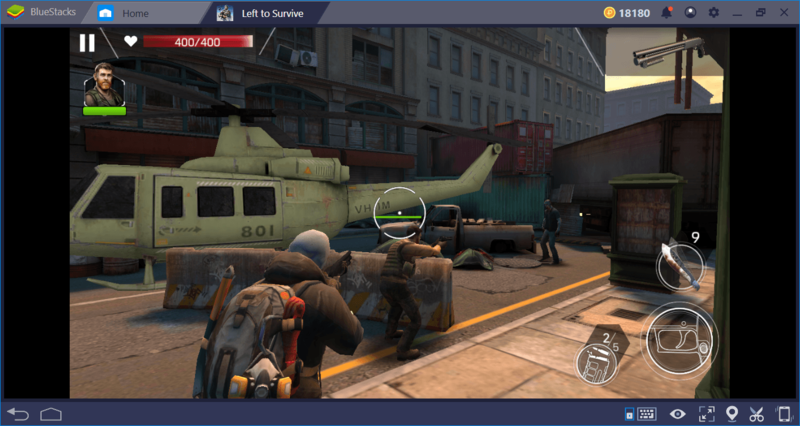 Left To Survive is one of the most entertaining zombie shooters and it offers you enough content that will last for months. Now, you know what to look out for to survive in this post-apocalyptic world. Don’t forget to read our other guides to learn more and become a better survivor!